All services conducted by Rev. Purvis Campbell unless otherwise noted. On the second Sunday of January, Palm Sunday and on the first Sunday of July and October, there is no service at 9:30 a.m. and Communion is held at 11 a.m. (unless noted as otherwise below). Band Practice will take place on Saturday mornings in the church at 11:00 a.m. and on Sunday mornings at 10:30 a.m.
So…. If you play an instrument at all - please come and join in. It would be good to have a musicians WhatsApp group - let Louise know (087 242 1890) if you wish to be included in this. 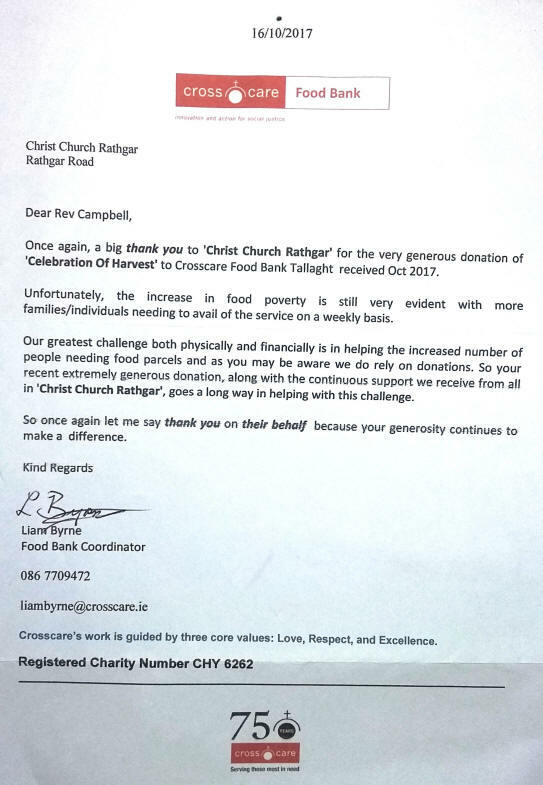 The Dublin Food Bank based in Tallaght (under the auspices of Crosscare) is in desperate need of food supplies to help struggli ng families over the coming months. To help them out a box will be placed in the church front and rear porches after all services for donations of food such as pasta, rice, cooking sauces, tinned meat/fish, sugar and tea, together with things like tooth brushes, tooth paste, nappies, soap and washing powder will be gratefully received. 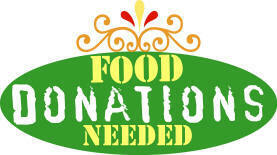 A member of the congregation is willing to bring donations directly to the food bank to help those in urgent need. Thank you in advance for any help you can give. Christ Church Rathgar has a long association with Gujarat. The evidence for this is the Communion Table, which we use each week, and which is central to our life and witness. This table was a gift to the congregation in 1901 by the family of Rev. Dr. William Fleming Stevenson (Minister 1860-1886) and was made in India by members of the Mission School, of which Dr. Stevenson's son, the Rev. J. Sinclair Stevenson, was in charge. The Current Gujarat Project began during the preparations to celebrate the 150th anniversary (in 2009) of the opening of the church/founding of the congregation, when it was agreed that we would make a contribution to Gujarat. Alan and Frances Martin, who knew the then Bishop Vinod Malaviya, helped us discuss a suitable project with him. It was decided to support development needs of a hostel for children whose parents were migrant workers, mainly sugar cane cutters. As a result of their nomadic lifestyle, it is not easy for the children to attend school regularly. 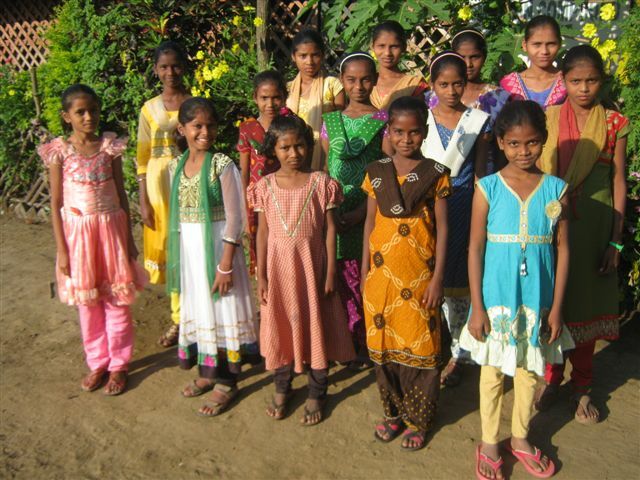 We now support a hostel for girls in Vyara, and over a period of time we will learn more about the individual girls. There are 15 girls in the hostel, and it costs €300 per year to keep each pupil there. Could you pledge a monthly sum to help support this project? If you can, please fill in the section below and place it in the offering plate over the next two Sundays. "The parents of these children are living in remote villages of mountain forests. They do cultivation in the monsoon only and get a poor harvest which is sufficient for four months only. As there are no job opportunities in these villages after harvest, these parents migrate to neighbouring districts for sugar cutting and other work. They wander in search of work for eight months with their families. The children are vulnerable and suffer without proper food and care. Their education and health are greatly affected in this wandering period. Seeing their pitiable condition the Children's Home admitted sixteen girls, with the help of local missionaries. Here they get asylum with proper food and education and are growing in physical, spiritual and educational aspects." 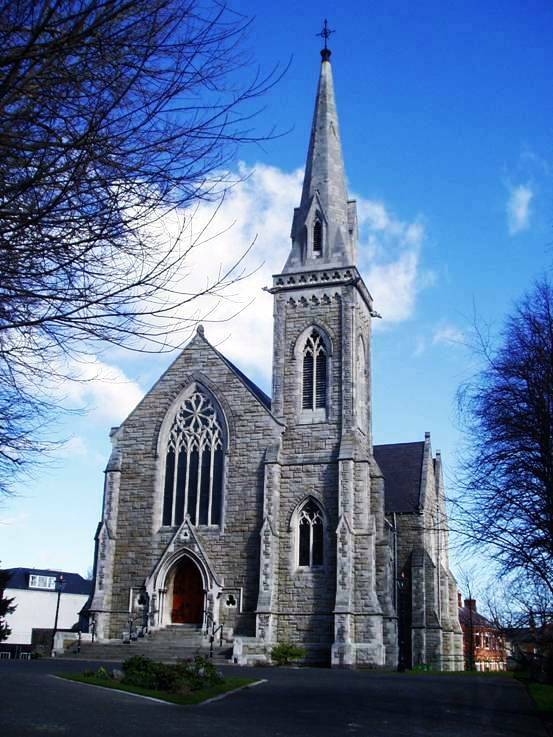 The Christ Church Rathgar (CCR) Mission Plan provides information for the outside reader about what our congregation does, and how we intend to improve and develop what we do. It helps members of our congregation understand where their church is going and encourages their participation in its development. It helps those responsible for the growth of the congregation and its life make sure that important matters are being attended to and to check that aims are being achieved. The plan is annually reviewable and subject to continuous development to which all may contribute. CCR Children's Library is stocked by voluntary book contributions from all the families associated with the Church. The Library is set up in the Youth & Family Area on the upper floor of the Tennant Hall. Books may be borrowed and/or returned on Sunday mornings after church. The lending scheme operates on a simple ‘trust’ basis. We would welcome books suitable for all ages from 2 to 18. These would be, in the majority of cases, books previously owned and read by our children who would be willing to pass them on for others to enjoy. So, please do a clear-out of children's books at home and bring them into CCR for the Library. There is a clearly marked box ready for them in the back porch of the church. Thank you to those who have already contributed books. 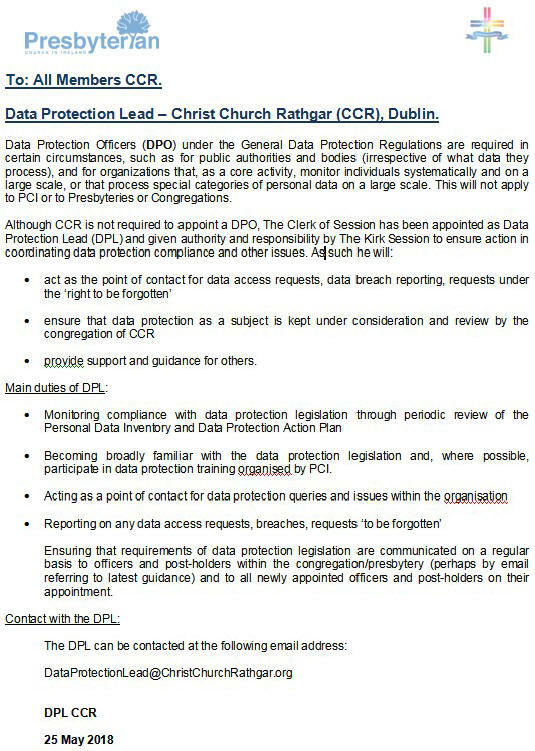 We, Christ Church Rathgar need to gather and use certain information about individuals. Protect the rights of members and adherents, staff, volunteers and other people we have a relationship with or may need to contact. The full policy and related material can be viewed in the links below. For further information, please contact the Data Protection Lead (DPL). Volunteers needed for the coffee after the 11 a.m. service. Pop your name on the rota on the notice board at the back of the Church. All donations will be greatly appreciated. See here for further information. Preliminary notice - on the first weekend of May 2019, we are planning a Creation Weekend. This will take the form of an art exhibition, information about global cultures, and a service celebrating the diversity of creation and the fragility of the environment. It is slowly taking shape and should be an interesting event. 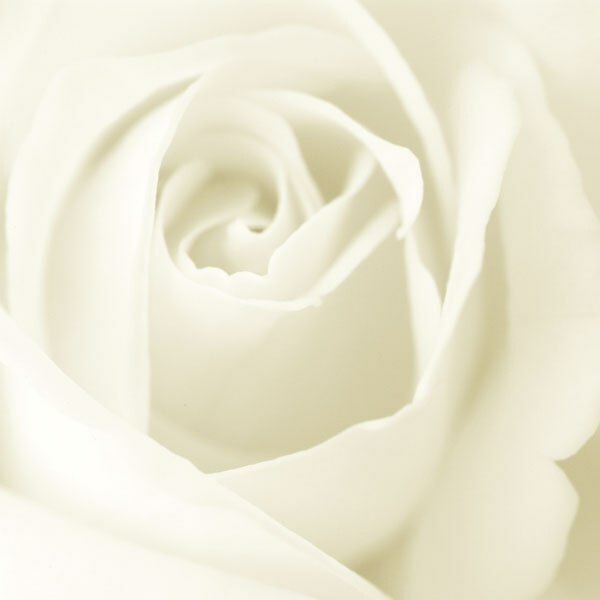 Retiring Collection - Palm Sunday Quarterly Communion 2019: This Sunday's retiring collection will be in aid of the Crosscare Foodbank, West Tallaght which caters for the emergency needs of our less fortunate neighbours. We have a long association with this efficient and excellent local charity and hope you will be able to give most generously to support its essential work. Retiring Collection - Sunday 31 March: PCI Moderator's Appeal for Cyclone Idai Relief - CCR Retiring Collection: The Moderator has launched an appeal to help those affected by Cyclone Idai, which recently swept through Mozambique, Malawi and Zimbabwe causing widespread devastation. A retiring collection will be taken after our services to enable members to contribute to the Moderator's Appeal. We look forward to your generous support. Retiring Collection - January 13: Last August the worst floods for over 100 years devastated the lives of more than a million people in Kerala in South west India, displacing them from their homes and livelihoods. Christian Aid and its local partners undertook to support 20,000 victims in two districts lived in by very poor people, mainly those stigmatised as 'Dalits' or 'tribals'. After the initial emergency provision of food, shelter, clean water and medical supplies, work continues to source long-term water supplies, to rebuild homes, to rehabilitate farming land and to replace lost equipment so that people may continue to look after themselves in the future.